Betsaka won the election with 31 votes, his opponent Clayton Konisenta received 30. 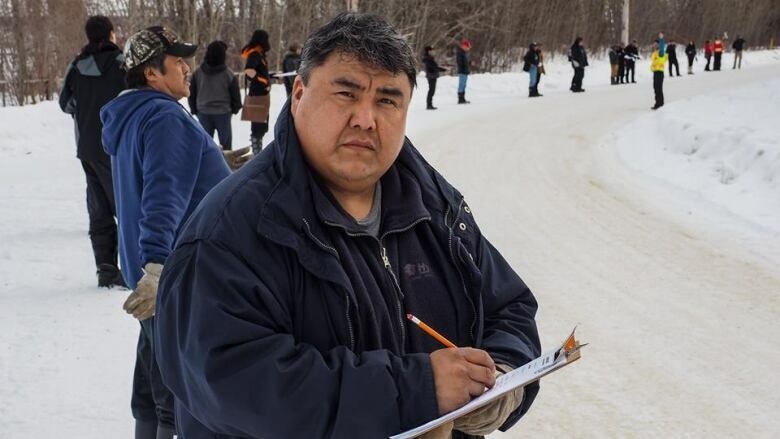 Darrell Betsaka is the new chief in Nahanni Butte, N.W.T. after a tightly contested race with Clayton Konisenta. Betsaka won the election with 31 votes. Konisenta received 30, according to the electoral officer Jennifer Konisenta, who posted the results in the band office at approx 2 p.m. on Tuesday. Betsaka will assume the role from Peter Marcellais who has been the chief since 2015. Sammie Berens, a Dene band member with the First Nation, said the polls closed at 4 p.m. on Monday. She says the band manager had the results at 5 p.m. Monday, but held onto them. Berens, who lives in Hay River, N.W.T, is questioning the way the results were handled. She says residents she's talked to are not happy and may call for a recount. "People are unsure what's going on in the community and this may just create a barrier among the members if the election count was that close in number," Berens said. "I think the band manager should answer some questions as to why this election [was] kept silent." Raymond Kaslak is the senior administrative officer for the community and is acting as band manager. He would not comment on why it took them more than 20 hours to deliver the results to the public. "We are printing out the results right now," Kaslak said, this afternoon. "We will print out the reason why too." Jennifer Konisenta said Kaslak was waiting on a call from Yellowknife before announcing the winner of the election, but said she couldn't say what the call was about.